Made to give a high-quality ride mile after mile, lace up a pair of these Asics Gel Kayano 24 Running Shoes in a classics looking Black, Phantom and White. 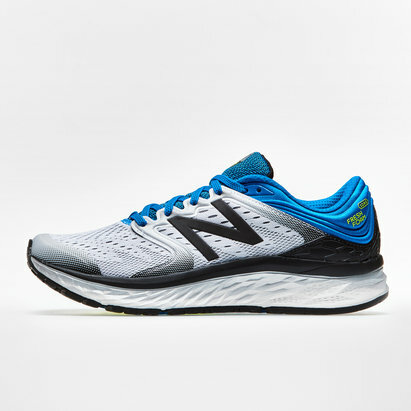 These running shoes have been helping overpronators stay stable and comfortable over long distances. 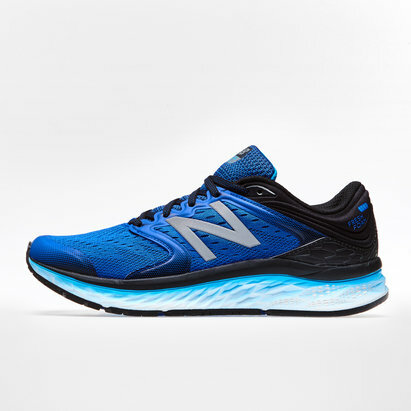 The last mile is just as comfortable as the first thanks to superb Flytefoam cushioning midsole that helps the shoes recover their shape after impact. This means the more you roll your foot, the more stable it will become. Made using jacquard mesh for an enhanced fit, these Asics trainers also feature an improved fit and stability with a metaclutch for better heel holding; a new heel lining offers maximum comfort and a new medial support system and more spacious toe box. Underneath, an ahar+ outsole delivers enhanced cushioning and durability, while the next generation DuoMax system provides greater comfort. Guidance lines follow the natural line of the foot while support ridges cross over the midfoot to give further support. 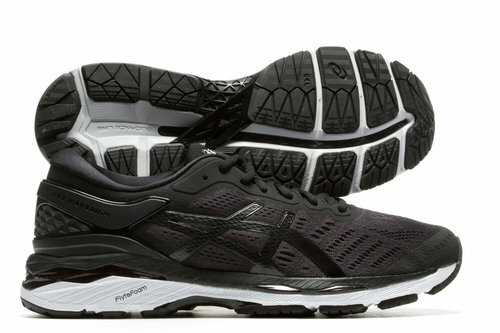 In a classic black design, run in comfort for miles in these Asics Gel Kayano 24 Running Shoes.